Mandwa is a pristine, un-explored, breath-taking port away from the hustle and bustle of Mumbai. 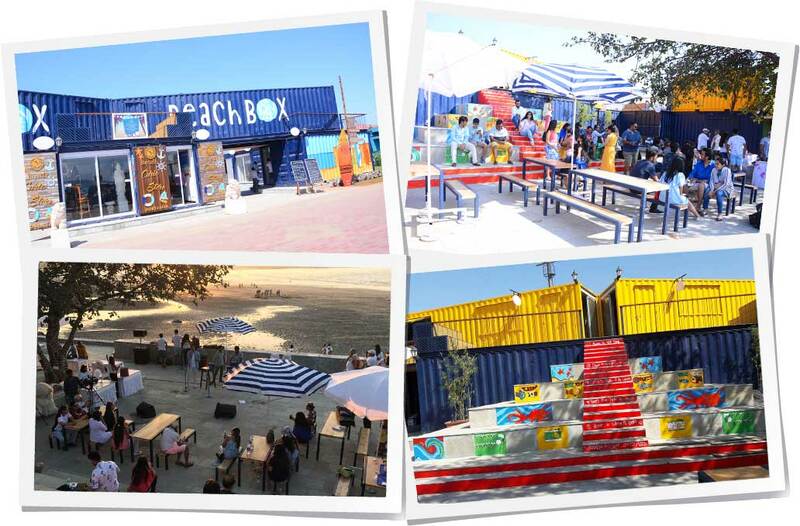 A perfect escape to food, fun, music & art at the exclusive eateries and amphitheatre at this beachfront destination! 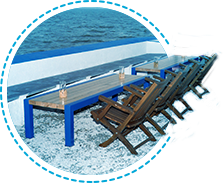 Boardwalk is a waterfront restaurant that offers a spectacular view of the Mandwa beach. A view that’ll be worth your while! Along with a splendid view, Boardwalk offers a sumptuous variety of lip-smacking, finger-licking food to choose from. 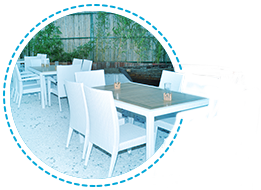 Take your pick from our cool indoor or breezy outdoor seating; coz’ we’re spacious enough for 200+ visitors at the same time! What’s better than a delicious meal with the backdrop of the most exquisite yachts and boats? What’s more? On a clear day you can see the magnificent view of the Mumbai harbor from the other side. So what are you waiting for? Make your way here right now! *Boardwalk is open for private parties. Mumbai head out to relax & unwind! Looking for a quickie? Hire a speedboat and be here in 20 short minutes! Hop on to a ferry and make way for a pleasant, 45-minute journey. Make way for a long drive from Mumbai to Mandwa in just about 3 hours. A fully equipped, well-functioning terminal infrastructure, exquisite landscapes, sandy beaches, soothing waves and a gorgeous sunset! Although, those are good enough reasons for you to be here, we have more reasons for you to visit Mandwa, BOARDWALK BY FLAMBOYANTE and BEACH BOX : Your brand new waterfront getaway! theatrical acts, open air film screenings, flea markets and dance and fitness sessions. 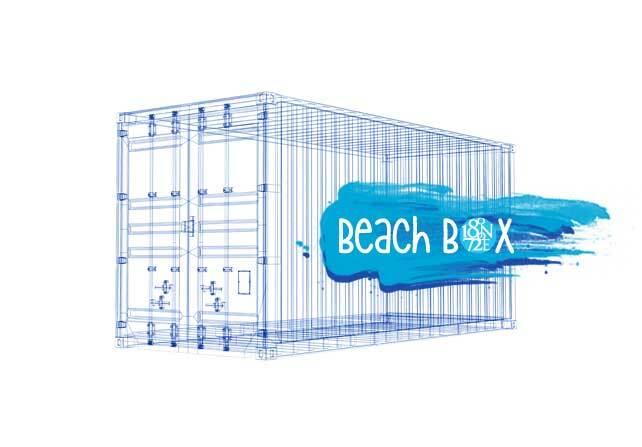 Beach Box is a storehouse of fun filled magic for everyone! Gone are the days you spent doing same old things. Beach Box is where the good times are at! Tune in to our Facebook page to stay updated about upcoming events! 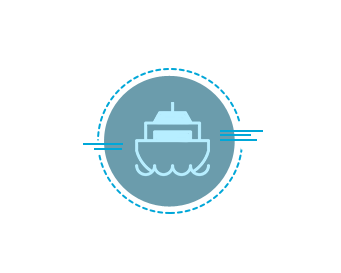 Sign up for exclusive deals & exciting offers delivered hot off the shores straight to your inbox!